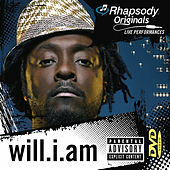 Will.i.am's path in life is almost as strange and schizophrenic as his productions. The producer/emcee started off as a b-boy/dancer in the early '90s before joining up with West Coast conscious rappers Atban Klann. Creating a buzz with their dynamic live shows, they signed to Eazy E's Ruthless Records, though they struggled to find their niche among the gangsta rappers on that label. After Eazy died from AIDS-related complications, the group changed their name to Black Eyed Peas and shortly thereafter signed to Interscope Records. Will was still in b-boy mode, and the first two Peas records was light, jazzy boho rap. This true-skool spirit runs through his first two solo albums, 2001's Lost Change and 2003's Must B 21. 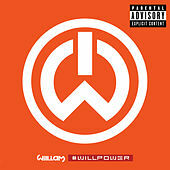 It's fashionable in rap circles to say that Will eventually sold out when he recruited Fergie into BEP for the group's third album, collaborated with the likes of Justin Timberlake and became the mega-star that he is today. But it's also true that he's always been about accessibility and eclecticism. That approach has changed little.